Deal Busters UK generates income through sales commission from affiliated businesses which include O2, M&S, Waitrose & Partners & Boots to name just a few. We also offer a subscription service for local businesses to pay a yearly fee to advertise and promote offers/deals on our website which is currently £100 for a limited time. 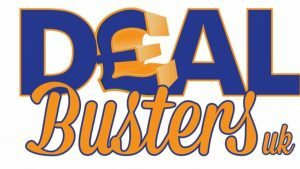 The Deal Busters UK website has been live since 03/10/2016 and our income is generated by sales commission from affiliated businesses which include O2, M&S, Waitrose & Partners & Boots to name just a few. We also offer a subscription service for local businesses to pay a yearly fee to advertise and promote offers/deals on our website which is currently £100 for a limited time.